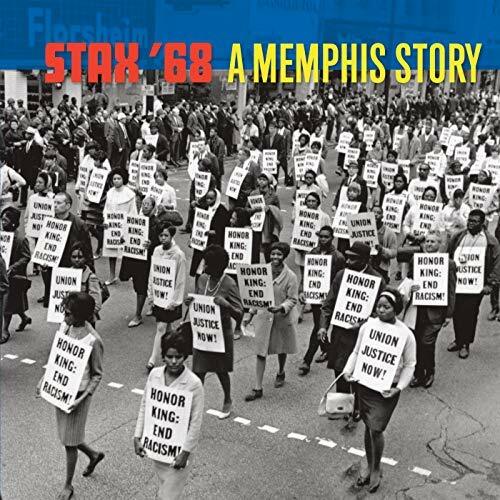 Just in time for Black Music Month, Concord Music Group announces its Stax Records 60th Anniversary celebration. The year long celebration will include new hits compiliations as well as remastered vinyl offerings and brand new box sets with rare deep cuts from the Stax catalog. Great tracks from artists like Isaac Hayes, Johnnie Taylor, The Staple Singer, Sam & Dave, Booker T. & The MGs and of course Otis Redding will be revisited during the year. 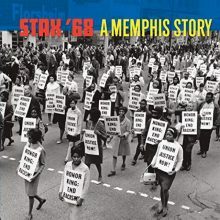 For those of us who are well steeped in the most popular output of the record label, Stax 60th also promises some surprises: a re-release of the soundtrack to Melvin Van Peebles’ Sweet Sweetback’s Baadasssss Song which features music by Earth, Wind & Fire in their pre-That’s The Way Of the World orientation; a box set spanning Isaac Hayes’ catalog from 1962-1976; and a new fourth volume of their acclaimed Complete Stax Singles box sets. 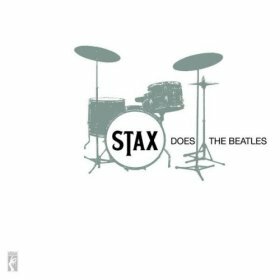 This new box set will include lots of music from Stax’s subsidiary labels like Volt, Enterprise, Hip, Chalice and others. While much of this music is being kept alive and well in Memphis at the Stax Museum of American Soul Music and Stax Music Academy, it’s a great time to make sure the whole world remembers what made the music from Stax Records so special. We’ll be reviewing these new releases in the near future. Sam Moore was supposed to have been Sam Cooke’s replacement in the Soul Stirrers, after Cooke made his historic decision to pursue secular pop music. But then Moore saw Jackie Wilson, and everything changed. The Original Soul Men: Sam & Dave is an invaluable visual document that shows the connection between Moore and partner Dave Prater. Featuring seventeen of the duo’s fiery live performances, the DVD is also interspersed with testimonials from Stax/Volt founder Al Bell, Moore himself, bassist Duck Dunn and others, that highlight the connection of soul music to its roots in the black church. Before we see the duo perform “Soothe Me,” Moore admits that the title was adopted from the gospel song “Save Me, Jesus, Save Me.” Bell confesses one of his marketing maneuvers for “You Don’t Know Like I Know” (which we see performed on the German Beat Beat Beat program) was to pitch it as a “holiday” song to radio DJs the day before Christmas, which worked because of its clear musical connections with the church. 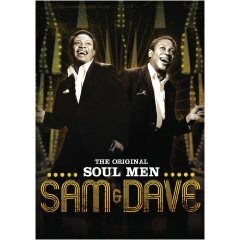 The DVD’s bonus features include three live performances labeled “The Roots of Sam & Dave,” which also highlight the pair’s connection to sacred music. In particular, Jackie Verdell and Brother Joe May’s duet on “You’re Gonna Need Him After a While” is, by itself, worth the price of the entire DVD. Along with Otis Redding, Sam & Dave were Stax/Volt’s standard-bearers for soul straight from the pulpit. Soul Men even features a performance of “I Take What I Want” by the duo-in matching fire truck-red suits, no less-on Redding’s own short-lived TV show called “The Beat.” Later in the film, Moore confesses to a bit of friendly competitive rivalry between the duo and Redding, based around which act could produce the most incendiary live performance. The performance of the classic “Hold On, I’m Coming” featured in the film proves beyond any doubt that the duo was able to match Redding’s own flair for the dramatic. Taking place in front of a ravenous crowd at London’s Hammersmith Odeon in 1967, the intense, constantly zooming and cutting cinema-verité style photography of the performance directly recalls the manner in which D. A. Pennebaker’s crew captured Redding that same year, performing “I’ve Been Loving You Too Long” at the Monterey Pop Festival. Moore and Prater allow the Stax/Volt band to vamp for a few minutes at the end of the performance, as they dance exuberantly and allow crowd members to touch not only the hems of their garments, but also their hands. 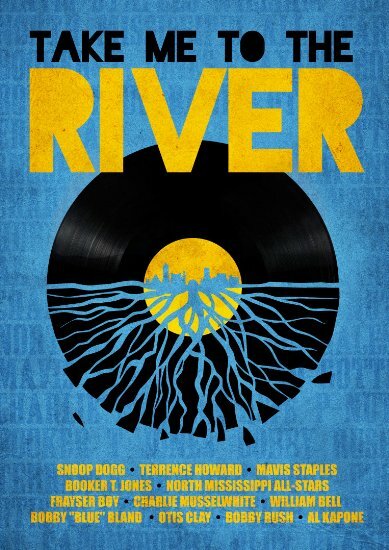 Much of the rest of the film is evidence of the popular music atmosphere during the late 1960s and early ‘70s, when the music was proliferating wildly, and live producers were inventing new ways to present it using available technology. From Danish television, the performances of “You Got It Made” and “I Don’t Need Nobody” feature Sam & Dave singing in the center of the screen, framed on either side by two women go-go dancing in front of polished metal backdrops, creating a dated, vaguely psychedelic tableau. The video for “You Got Me Hummin'” sees the duo in impossibly bright, nearly glowing yellow suits, backed by their band in variations of yellow and blue suits on risers behind them. Finally, the filmed promotional video for “Baby Don’t Stop Now” is evidence that, in 1970, most people still didn’t know what to do with the music video medium. The clip mostly shows Sam & Dave, dressed to the nines in fur and leather, walking around what appears to be London, peering in shop windows and trying their best not to look at the camera. According to Bell, Sam & Dave playing on the Ed Sullivan Show “was like manna from heaven.” They certainly made the most of their appearance, and their medley of “Soul Sister Brown Sugar” and “Lucky Ol’ Sun” is the highlight of the film. Sam’s vocal on the Ray Charles-penned “Sun” is his best performance here, but that’s only the start. “Sun” expands dramatically, picking up its pace and threatening to collapse from its unreleased energy, and then segues seamlessly back into “Soul Sister,” which ends the set. The music echoes cavernously throughout Sullivan’s studio, but that only gives the performance an increased sense of bigness to match the of-the-era sense of liveness. Later, two other high-profile performances show the group’s sense of humor and ability to stretch beyond rhythm-based soul music. Burt Bacharach jokes about shooting the pair with tranquilizer darts to calm them down, and then asks them to sing his “Make it Easy on Yourself” with, as Bacharach notes, “a whole lot of strings attached.” On the Mike Douglas Show, Douglas comments that “it wears me out just watching you guys,” and then they put him on the spot, giving him a vocal solo on “Lucky Ol’ Sun.” Needless to say, this bit is more of an enjoyable historical curio than a crucial performance. 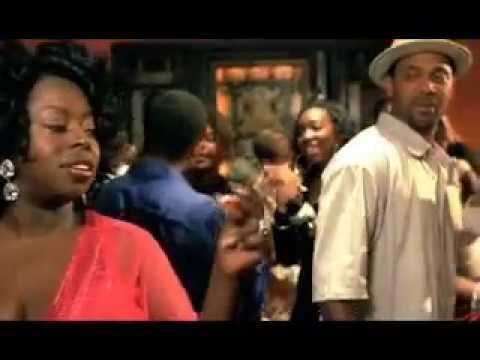 The video’s main point of historical significance is mentioned in a brief title card after the video fades out, which tells us that, “After shooting this promotional video, Sam & Dave broke up the act.” The film picks back up in 1980, when the duo had been persuaded to appear on Saturday Night Live. Their performance of “Soul Man” showed that they were still more than capable, 13 years after the song’s original release, of investing it with their uniquely passionate approach, even when their backing band breaks down mid-song into something that sounds less like soul and more like Billy Preston-style piano-driven gospel funk. It’s fitting, of course, that performances of “Soul Man” bookend the film. Watching the two chapters back-to-back on the DVD, especially with the knowledge that Prater passed away in 1988 (in the film, his widow offers a few bits of insight about the duo), is a poignant reminder that, though they were only around for a brief time, Sam & Dave’s musical and performative legacy is one that will be remembered and re-visited for years to come. 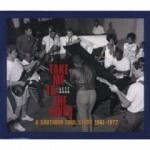 In terms of defining Southern soul, the compilers set strict guidelines- “recordings made below the Mason-Dixon Line and, mostly, in the studios whose names are synonymous with the sound: Broadway Sound/Quinvy, Royal, Stax, Muscle Shoals Sound, Criteria, Fame, etc.” That is, studios located in Tennessee (Nashville, Memphis), Alabama (Muscle Shoals), Florida, Louisiana (Shreveport, but NOT New Orleans), Mississippi, and Georgia. Furthermore, they limited their selections to artists who either hailed from the South, or who recorded some of their most significant work there. 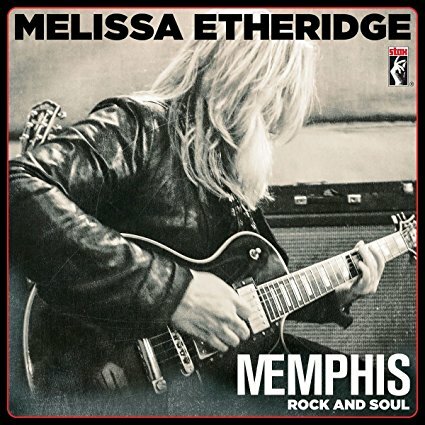 Using the latter criteria, they were able to slip in Aretha Franklin’s “Do Right Woman, Do Right Man” and Etta James’s “I’d Rather Go Blind,” which were both recorded at Muscle Shoals in order to inject an “authentic” southern soul sound. The three CDs each bear their own title. Disc One, “You Don’t Miss Your Water,” begins with William Bell’s 1961 version of that song and takes us through Oscar Toney Jr.’s “Without Love (There Is Nothing),” recorded in 1967. Other featured artists include Wilson Pickett, Otis Redding, Jarvis Jackson, Eddie Floyd, Charlie Rich, Toussaint McCall, June Edwards, Laura Lee, and Etta James. Disc Two, “The Rainbow Road” (as sung by Bill Brandon on track 3), begins in 1968 with Maurice & Mac’s “You Left the Water Running” and concludes with Gwen McCrae’s “You Lead Me On” (1970). 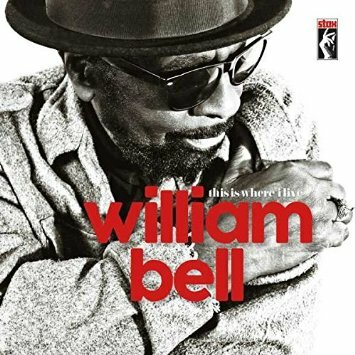 Along the way are selections by Don Bryant, Shirley Walton, Ollie & the Nightingales, William Bell, Spencer Wiggins, Clarence Carter, Candi Staton, Joe Tex, Doris Duke, ZZ Hill, and Johnnie Taylor, among others. 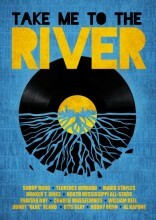 Disc Three, “The River,” sets off in 1971 with Marcell Strong’s “Mumble in My Ear” and concludes in 1976 with Geater Davis’s “I’ll Play the Blues for You.” This 1970s compilation also features Denise LaSalle, King Floyd, Al Green, Sam Dees, Ann Peebles, Bobby Womack, Millie Jackson, the Soul Children, Chet Davenport, Luther Ingram, and more. 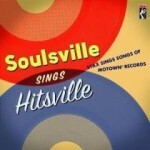 If you already have a large soul music collection, this box set may not offer any new material. However, it is such a wonderful overview of southern soul music, thoughtfully programmed and expertly annotated, that both the novice and the soul music aficionado will reap the benefits. And, let’s face it- there just aren’t that many great compilations being produced anymore. This is a set that you’ll want to buy and hold on to for the long term. From 1949 to 1956 Thomas recorded 28 sides for various labels, though a number were unissued and have since been lost (all extant recordings have been included in this compilation). 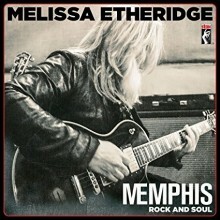 His first sessions in Memphis were for the Star Talent label (based in Dallas) and featured several of his own songs, including the bluesy “I’m So Worried,” the somewhat derivative “I’ll Be Good Boy,” and the previously unreleased “Who’s That Chick” and “Double Trouble” (the latter in rather poor sound). 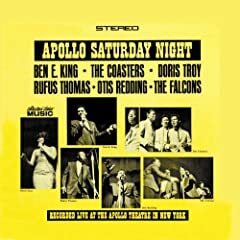 These were followed by two sides for Bullet-the rockin’ party song “Beer Bottle Boogie” and another of Thomas’ own compositions, “Gonna Bring My Baby Back,” a swinging jazz number backed by members of Lionel Hampton’s band let by saxophonist Bobby Platter. The following year Thomas stopped in at Memphis Recording Service–soon to be renamed Sun Studios–and convinced Sam Phillips to record several songs which were released on the Chess label, including “Night Workin’ Blues,” his own cryin’ blues tune “Why Did You Deegee,” the uptempo boogie woogie “Crazy About You Baby” featuring Billy Love on piano, and “No More Dogging Around.” Additional sessions followed in 1952 producing the notable song “Decorate the Counter”–this had originally been recorded by Rosco Gordon, but only Thomas’ version was released by Chess (both versions are included on the CD for comparison). Two additional songs were recorded at the same session but were never released: “Married Woman” included here with two alternate takes; and “I’m Off Of That Stuff” which is a bit stiff, not to mention somewhat truncated. Thomas’ big break came in 1953 when he recorded “Bear Cat” for the new Sun label. An answer song to Big Mama Thornton’s bluesy “Hound Dog” that had topped the charts a few weeks earlier (also included on the CD), “Bear Cat” was a huge hit, signaling the shift towards rock ‘n’ roll and no doubt making an impression on Elvis Presley, whose cover of “Hound Dog” catapulted both him and Sun Records to fame three years later. Thomas cut several more sides for Sun, including “Tiger Man (King of the Jungle)” complete with Tarzan yells, and the straight-ahead blues song “Save That Money.” His early recording career concluded at Meteor, a short-lived Memphis label, which released “The Easy Living Plan” and “I’m Steady Holdin’ On,” both penned by Rufus Thomas and Joe Bihar. 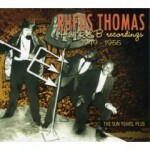 Rufus Thomas: His R&B Recordings, 1949-1956 is a great tribute to this legendary artist who passed away in 2001. 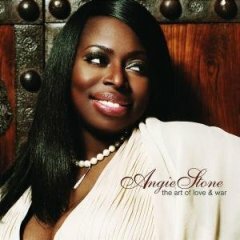 Interestingly, two other compilations including much of the same material have also been released in 2008 by Document Records and Important Artists. However, the Bear Family set is far superior in terms of remastering and production. 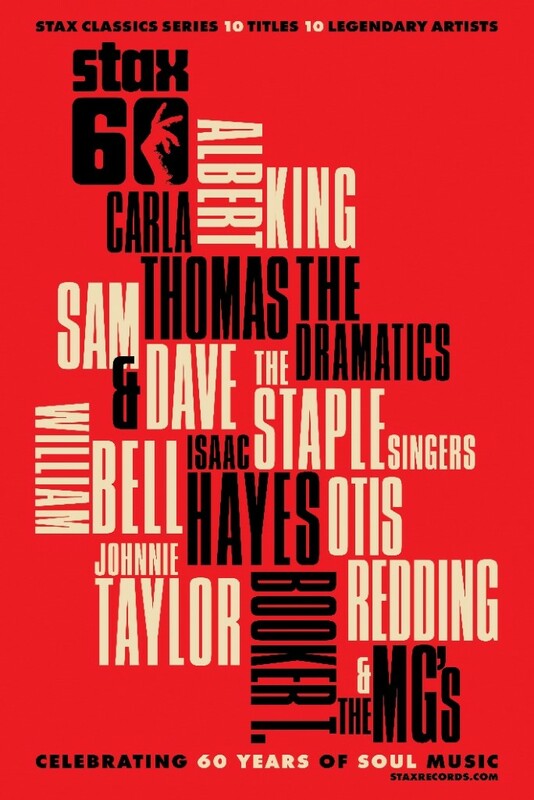 The wonderfully illustrated 67 page booklet (bound into the package) features a complete 1950s discography and an overview of Thomas’ pre-Stax career by Martin Hawkins, including lengthy discussions about the role of WDIA and Black radio. The other thing that really sets this CD apart are the bonus features and alternate takes previously mentioned, as well as airchecks from Thomas’s WDAI radio show and a ten minute interview from the Daddy Cool Show. With a total of 29 tracks, this is indeed the definitive compilation of Thomas’s early recordings. Anyone interested in Memphis soul, the roots of rock ‘n’ roll, and the story of Black radio will want to purchase this set–it would also be perfect for classroom use. Rufus Thomas: His R&B Recordings, 1949-1956 is absolutely the best single CD historical reissue that I’ve come across in 2008.